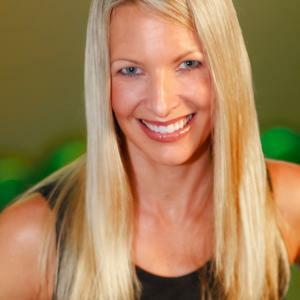 Over the years, Nautilus Health and Fitness Group trainers and presenters Tatiana Kolovou and Jay Blahnik have both developed numerous critically acclaimed indoor cycling workouts and programs. Most recently, they have been refining and presenting successful indoor cycling ride simulation drills. Below, they share their best five tips for conducting these types of indoor cycling drills. 1. Know Your Route. Whether you choose a race-, tour- or leisure-ride format, make sure you study an actual roadmap of your simulated ride. Choosing a terrain that is mapped out on the Internet will help make your class more realistic, which will enhance the overall ride experience for participants. For example, you can select and download maps for one of the stages of the Tour de France at www.letour.fr/2002/us/ infos/ or check out the Malibu Triathlon at www.mesp.com/nautica.htm. 2. Aim for Picture-Perfect. As instructors, we know how challenging it can be to get our indoor cycling participants to visualize specific ride settings. The clearer the visual picture we paint, the more engaged our cyclists will be in the experience. To improve visualization, instructors should describe imaginary environment conditions, such as temperature, light and wind conditions, in addition to the terrain ahead. Remember to tell participants when they are riding alone and when other riders are sharing the road. If you are doing a race simulation, specify whether bystanders are watching, whether any drafting is occurring and even whether participants can drink water or eat energy bars as they ride. 3. Watch the Timing. Unlike a regular workout, an indoor cycling ride simulation is a story—a thread unfolds throughout the entire class. Music segments have to match and complement the scenery right down to the final second. If you tell riders that 30 seconds remain before the crest of the hill, it is important to have only 30 seconds left in the music. Anything else would be a letdown to the riders. 4. Choose Music Wisely. Just like the score in a good movie, your indoor cycling music has to correspond to the feel of the scenery and the intensity of certain ride simulations. In fact, music is one of the best motivators in an indoor cycling class. For example, for the Malibu Ride cited earlier, the best music choice is a fast, upbeat song that gets participants racing on the simulated flat highways as they head back to the finish line at the beach. At the beginning of this ride, you can simulate the chaos and urgency of a true triathlon swim-to-bike transition by asking class members to take off and place their shoes alongside their bikes. Next, have the riders leave the room until you signal them to run back inside while a fast song is playing. Their goal is a fast and safe transition from an imaginary swim to the bike ride. 5. Coach Like a Pro. In addition to timing the music to the ride and continuously letting riders know their bearings on the road, you should provide a goal for each ride segment. You also need to tell participants how they should feel when they are in each segment. For example, on the first 7-minute highway flat of the Malibu ride, the goal may be to get into the highest gear possible, then hold an rpm cadence in the mid-70s while passing as many riders as possible. During those 7 minutes, the riders need to feel that the segment is manageable but not so easy that they could do it for 20 minutes. Participants should feel their hearts pumping but know that they are in a steady state of work. Before starting any indoor cycling workout, make sure your students are set up properly on their bikes and are using correct alignment and body mechanics. Give frequent cues on how to correct posture; lower-back pain can be severe if students don’t maintain a neutral spine. Cue riders to retract their shoulder blades and stretch their necks often when riding; neck pain worsens when participants round their backs and slump their shoulders. Remind riders to maintain proper alignment in the wrists, forearms and hands to avoid pain in these areas. Discourage riders from pedaling with their feet too far inside the pedal cages or squeezing their toes too tightly on the pedals, as both these actions can cause foot cramping. Inform participants that foot cramps/pain can also occur if cycling shoes are too tight; if the balls of the feet press too hard on the pedals; or if cage straps are fastened too tightly. Encourage participants to wear stiff-soled shoes to protect the plantar fascia and Achilles tendon. Advise male riders to adjust their saddles so the noses are parallel to the floor, to prevent numbness or impotence. Cue riders to pedal in a continuous circle. If they stop and start, or press to one side or the other, they place unnecessary stress on their joints. Tell participants that changes in their training frequency, intensity or duration or their seat height can cause muscle and tendon strains. Remind riders to wash their cycling shorts after each workout, because bacteria in unclean shorts can exacerbate saddle sores. Allow participants to stand whenever they want to and to adjust their cycling position for comfort as often as necessary. Team Setup. Dividing the class into teams is a great way to mix up a ride, foster group interaction, increase motivation and make participants feel that they are part of a select group. Create teams by splitting the group in half (e.g., into right and left sides of the room or front and back) or by selecting groups based on clothing color or even participants’ birthday months or astrological signs. To keep things fun, try to be as creative as possible. Tag Games. Play “Tag, You’re It,” in which the instructor calls out two participants’ names and one becomes the imaginary chaser and the other is chased (once someone is “tagged” or called out, the chaser becomes “it” and then races against someone new). Also try “Group Tag,” in which you split the class into small groups, give the groups different names and call out a group name every 20 seconds; groups continue to race until every group has been called, then everyone goes into recovery mode before starting the game again. The Wave. Set the group’s initial cycling cadence, then have one rider start to climb and each subsequent rider follow suit within a set interval. Once everyone is into the climb, the first person drops down and then the next, and so on. Circuit Games. Depending on the number of participants, split the class into three or more groups and give each group a different training focus. For example, have Group 1 perform standing climbs, Group 2 sprint the flats, Group 3 do pyramid sets and Group 4 perform seated climbs. (Keep the duration of each set consistent.) Have each group then switch and perform a new drill, until each group has performed all indoor cycling drills. Jumps & Lifts. As challenging as jumps and lifts can be, they add intensity and interest to the workout if done correctly. Start with jumps that are not shorter than 4 seconds in duration. Have the class decide on the number of sets to be completed or use the chorus of a song as your guide. Pace Lines. Outdoor cyclists form “pace lines” to create wind resistance for the riders who follow in their group. Often, the front rider cycles approximately 25 to 30 percent harder than the cyclists “drafting” behind. You can replicate this strategy in an indoor class by setting a cadence and having one team lead the pacing by increasing its resistance by 25 to 30 percent. Alternate the teams every 15 to 30 seconds. Have the nonleading participants motivate and cheer on their fellow cyclists in the pace line. Climbs. Have riders do a variety of seated and standing hill climbs. Determine and maintain class intensity and cadence, then vary the sets between seated and standing climbs without making the resistance easier. Alternatively, split the group into two, and have one half do seated climbs and the other do standing climbs. Karaoke. Many people love to sing along to the great music in our cycling classes. If possible, provide participants with the lyrics of your favorite songs and then invite everyone to sing along. Visual Images. Select a few words that are inspirational, such as energy, passion, motivation and focus. Type or print out these words in bold letters on separate pieces of paper. Before the class, post the inspirational words all over the studio. Throughout the indoor cycling workout, ask participants to focus on one word that either motivates them or has special meaning for them. Mystery Cyclist. Before class, ask one of your participants to be that day’s “mystery rider.” Throughout the indoor cycling workout, give hints about this rider’s identity. You could start off with broad hints like, “He (or she) is wearing black bike shorts” and build up to more specific clues like, “He is the proud owner of a large dog.” At the end of the workout, let class members vote on who they believe is the mystery member; you could even award a small prize to the winner. As indoor cycling instructors know, constantly coming up with new cycling drills and games can be challenging. Yet, the more realistic and enjoyable you make the indoor cycling workout, the more motivating the experience will be for your participants. With a little upfront work and some basic cycling know-how, your cycling classes are sure to inspire! Does your indoor cycling class like to “travel” to new places within the confines of your classroom? Then follow Tatiana Kolovou’s directions and take your riders on an imaginary trip to Malibu, California. Whether it’s breakaway, blowout or bull horns, understanding and using common cycling jargon will enhance the realism of any indoor cycling workout. Below, Keiser master trainer Heidi Hill, a top finisher in many track championships and a sixth-place finisher in the 1980 U.S. Olympic Cycling Trials, shares her knowledge of cycling competitor lingo. 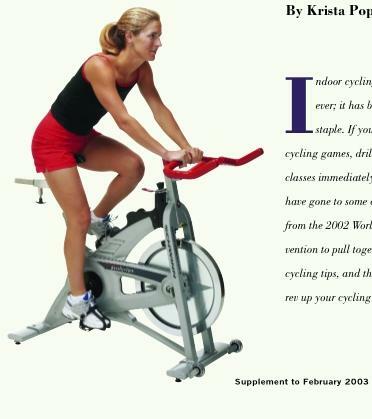 Have a question about indoor cycling? Ask it here.